Creating an efficient supply chain is no easy task in an increasingly global and “just in time” environment. LAD 3rd Party Logistics assists a variety of companies with logistics solutions, including putting teams in place at various client facilities to make sure everything arrives safely on time and under budget. Our full suite of 3PL services range from freight bill auditing to load consolidation and carrier management. LAD 3PL accommodates customer needs with opportunity for joint cost savings in all areas of service. LAD can do more than just strengthen and improve your supply chain, we can reinvent it. We offer full service 3PL and supply chain solutions that leverage today’s top technology. LAD’s network of transportation professionals and warehouse capabilities make us a unique 3PL provider. 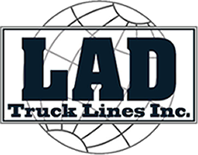 LAD Logistics goal is to offer you a suite of options and solutions that meet your most challenging supply chain needs. Our Supply chain exports can handle any task large or small. If you are looking for a specific solution for transportation or logistics, or a complete management solution of your distribution needs please contact a LAD 3PL expert today.